This series covers the whole plan fof salvation. It starts with knowing our need: the awful power of unrighteousness and even worse religious self righteousness. When we were powerless to help ourselves, Christ died for our sins. Salvation is a gift to those who trust in Christ. Baptism with the Spirit is not a condition of salvation but the inheritance of those who are saved. By this we experience the death and Resurrection of Christ, which enables us to live a life of victory in the power of the Holy Spirit. 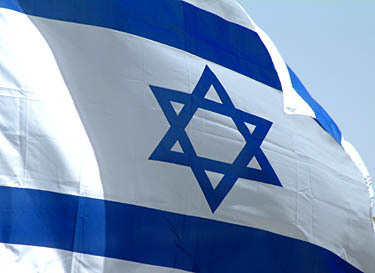 Les and Vicki Wheeldon will be taking a Tour Group to Israel in April 2013. The focus will be to look at the biblical and historical events which took place at each location, (generally avoiding the religious buildings) and taking time to enjoy the natural beauty and surroundings. There will opportunity to have teaching/testimony times together at these locations and in the hotel some evenings. You will need to book and pay for flights yourselves, planning to arrive in Tel Aviv on Monday April 22nd between 12 noon and 8pm and departing on the afternoon of Wednesday 1st May. UK tour group are advised to book with easyJet, leaving Luton on Mon, 22 April 2013 at 12:25, arriving in Tel Aviv at 19:25 Flight 2085; returning Wed. 1st May at 20:20, arriving back in Luton at 23:45 Flight 2086 (current price with a 20kg checked in case is £240 per person). Travel insurance is your responsibility. (easyJet do a good rate). Les and Vicki will book Sunday 21st night at the Ramada Encore Luton airport hotel for only £67.50 including 10 nights parking. This ensures being at check-in at the required 9.25 – without worries of rush hour traffic. DAY 4: Thurs April 25th – Jerusalem – Beth-Shean, Caesarea port-city, Western Wall tunnel. Hotels are of a good standard and in excellent locations, but will be about 2 or 3 star in order to keep costs down. Lunch is the only meal not provided, but the group will be taken to a café or similar outlet. 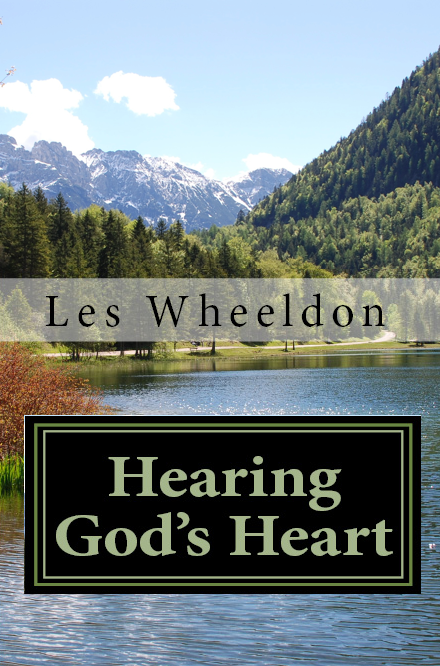 Les Wheeldon’s new daily devotional “Hearing God’s Heart” is now available as a paperback. Featuring 366 daily readings this inspired devotional draws you into a closer walk with God. This daily devotional ‘Hearing The Heart Of God, is exactly that. After reading the daily teachings one comes away feeling you have caught something of the heart of God. Rev. 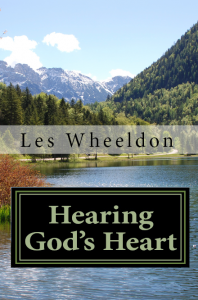 Les Wheeldon has produced a truly Holy Spirit inspired devotional that will greatly help each reader in their spiritual growth and daily walk with the Lord. 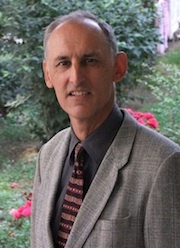 – John Elliott – Director World Outreach International. 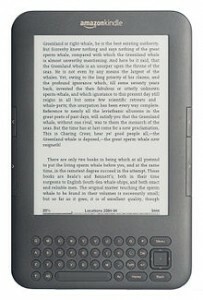 You can order you copy for just $15.50 (about £10) from here. More details about the book and other books by Les can be found on the Books by Les Wheeldon page. 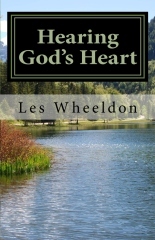 Les Wheeldon’s new daily devotional draws you into a closer walk with God. Featuring 366 daily readings to make you reflect, meditate and move into the presence of God. It includes a themes index with many entries for prayer, waiting on God and finding God’s presence. This reflects the goal of the author in cultivating a listening, worshipping heart of love for God. Other themes included in the daily reading are: The cross, Discipleship, Faith, Forgiveness, Love, The presence of God, Resurrection life, The love of God, and the Holy Spirit. This refreshing book is bursting with encouragement and inspiration. 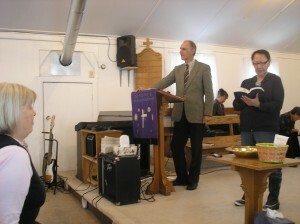 One message preached in Nicosia in July 2011 with translation into Greek. Here are the messages preached by Les during his 2011 trip to the Arctic Circle. The messages are in English with translation into Inuktitut. Since our last update, Les and I have at last settled back into our home in the UK. It has been five years now since we left England to live in Singapore, the past three being of ‘no fixed address’ but with continuing links to the Singaporean Bible school teaching programmes and seminars. We are now back in Singapore for a three week visit, where Les is teaching in the Tung Ling School of Ministry. It is always a delight to be here and experience the fresh eagerness of the large group of international students as they study the Letter to the Romans, and New Testament Survey. We have close links to over six Singaporean churches so the programme is very busy while we are here. We are very much looking forward to our time in India later in the month. Les and Blaesius Fultang from Cameroon will be teaching at the Pastors’ conferences. Les and Vicky have flown from Cape Dorset in the Arctic back down to Toronto. Their 18 days in the Arctic were very blessed, with moments of pure joy as different ones grasped the awesome truths of forgiveness of sins and the power of the cross. They have had wonderful meetings in the small Inuit settlements, but on the second day in Cape Dorset they heard that a young man of 23 had committed suicide in the night. A lady from the community said that from his class in school all the young men and some of the girls have committed suicide. It brings home the incredibly sad truth that these communities are so dark and spiritually in need. Many problems are drug and alcohol related, and they have the highest rates of suicide, drug addiction in Canada. “It all makes me realise that our visits here are so important for the little flock of believers here,” said Les. On the last night of meetings, there were some present who were deeply affected by the suicides. About thirty came forward with deep repentance and strong crying to God for mercy and help. It was a blessing to see tears of sorrow turn to peace with God. 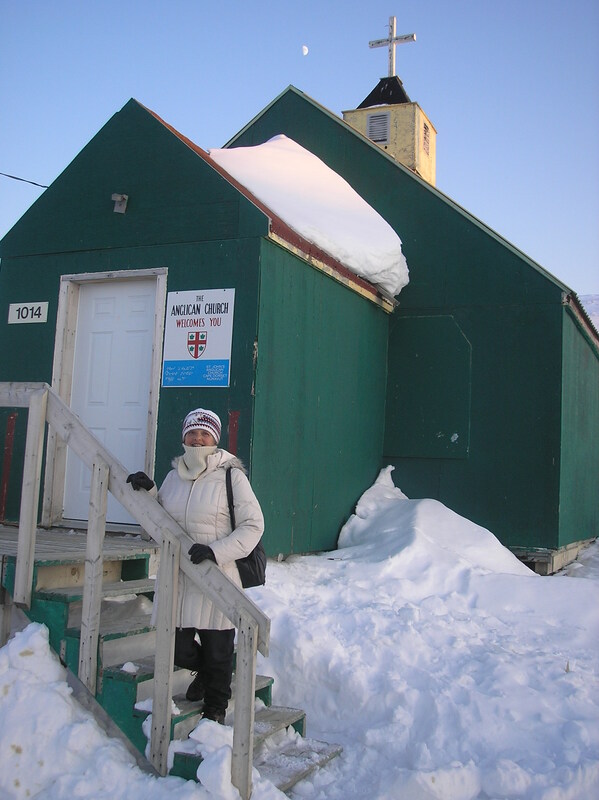 All the meetings were recorded with translation into Inuktitut, and will be broadcast on the local community radio. May their influence continue on. 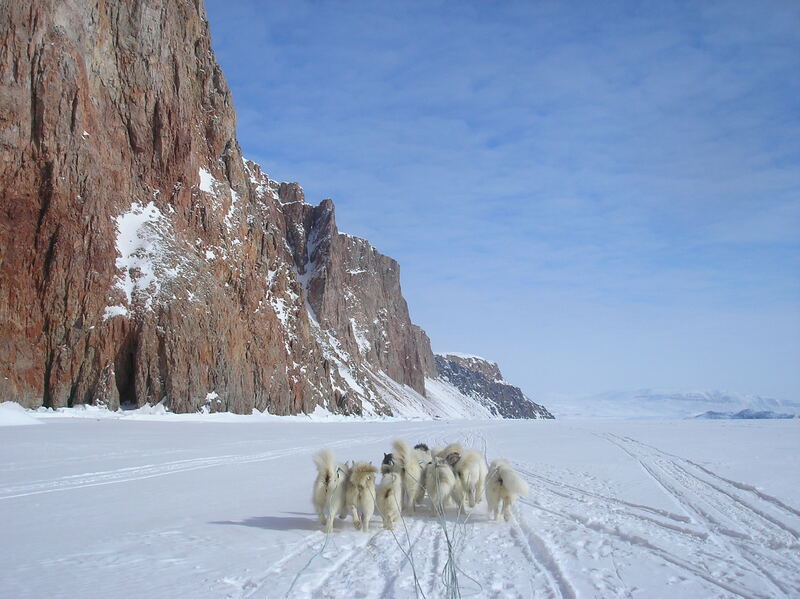 On a lighter note Vicky and Les had a great ride out on the sea ice with a dog sled! Check out the photos here.